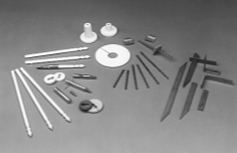 A complete line of alloy and ceramic hardware used to support ceramic fiber products in high temperature environments. Accessory products are available in various standard and custom forms. Produced with advanced spinning technology, Durablanket ceramic fiber blankets are made from long staple, inorganic spun fibers needled to produce exceptional strength. 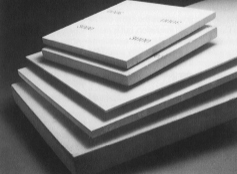 Rigid, high temperature ceramic fiber boards manaufactured in a wet forming process using alumina-silica fibers and binders. Available in thickness' from 1/4" to 4". 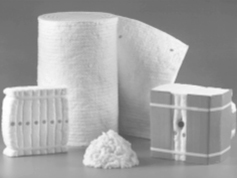 A wide variety of standard and custom fibers offer unique solutions for vacuum formed production, reinforcement, filtration and filler applications. 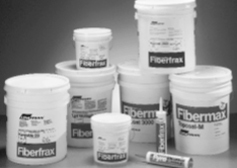 img style="float: right; margin: 7px;" src="/images/ois/misc/paper.jpg" alt="paper" width="237" height="152" border="0" />Includes a complete line of Fiberfrax and Lytherm ceramic fiber papers and felts. 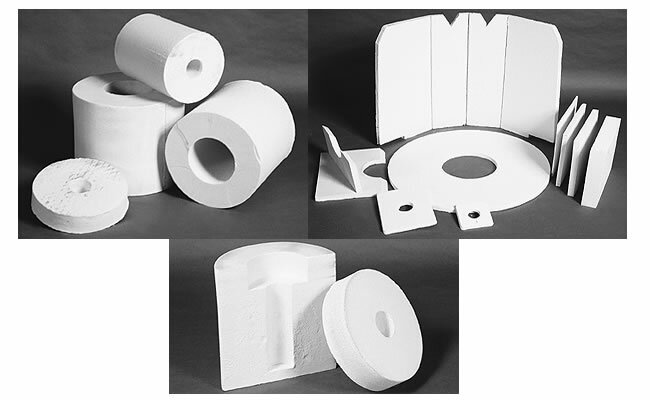 These products are easily die cut and fabricated for a variety of thermal applications. Shipped wet, these specialty products are ready to apply for a variety of applications. We offer a broad selection of ropes and braids used for medium to high temperature packing and gasketing applications in sizes from 1/4" to 4". Complete line of custom made vacuum formed products. We can design any shape to fit your needs for high temperature insulation. 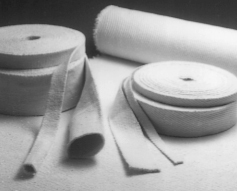 Newtex - High temperature textiles for thermal management and fire protection. 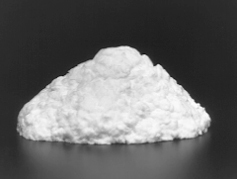 Ohio Industrial Sales, Inc. offers our customers the most advanced refractory material available. Our extensive inventory and delivery service enables us to respond quickly to any customer needs. 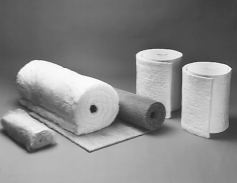 In addition to ceramic fiber product lines we also specialize in expert fabrication, Globar heating elements and asbestos replacement products. The expertise of our principal suppliers is distinctively visible through technical and administrative support. The same expertise and support that insures the quality difference in your application. Copyright © 2013 Ohio Industrial Sales, Inc.